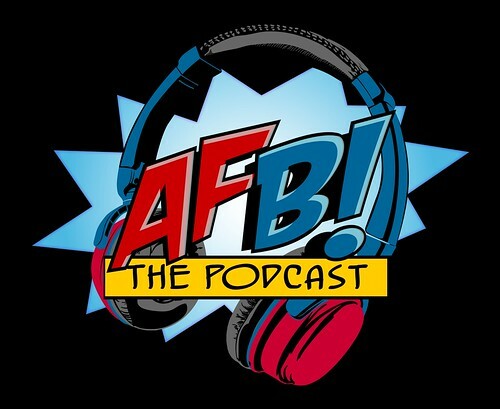 Episode THIRTY of the AFB Podcast is live at iTunes and is now available for direct download! Download and subscribe to the podcast at iTunes now! Join John, Eli, Scott and Justin from the AFB Forum for Episode Thirty One of the Action Figure Blues Podcast! The AFB Podcast is a weekly look at action figures, statues and other collectibles from the worlds of comic books and pop culture. Episode Thirty One includes our Toy of the Week feature on the DC Collectibles Batman Black & White Joker (Brian Bolland) Statue and a new feature: a Toy Retrospective on everyone's favourite Match Head - Firestorm! We also have the next answer and clue in the "Name That...." Audio Game run by our friend Engineernerd from TV & Film Toys . If you can't use iTunes, you can download Episode Thirty One here now! Click on the link to listen, or right click to save the file! The podcast will always be available from the “Podcast” tab here - but if you can subscribe and give us positive ratings at iTunes, that will help us greatly! Hey guys! 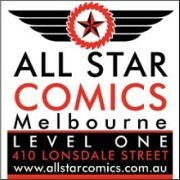 Shag here from FIRESTORM FAN.com and THE FIRE AND WATER PODCAST. I just wanted to say what a great job y'all did on your Firestorm action figure retrospective! I was really impressed with your thorough coverage. I agreed with many of the comments Eli made about the various figures and completely agree that the JLA Series 2 Firestorm from 2004 is the best figure by far! 1) The sun insignia on Firestorm's chest is actually supposed to be an atomic symbol. The big red circle that looks like a sun represents the nucleus, while the white lines represent the electron paths around the nucleus (with the smaller red dots representing the electrons themselves). I believe the error with the fourth electron on the 2004 JLA Series 2 action figure started with a comic book drawing and has oozed into several places since (although I can't identify the exact drawing at this moment). 4) I also wish there were Firestorm statues or busts. Below are a couple links to some custom statues/busts that prove how amazing an official DC statue of Firestorm would be! 5) You mentioned Heroclix, but I wasn't sure if you were aware there have been six different Firestorm Heroclix. I've listed them below in case you are curious. Here is the first horrible Heroclix of Ronnie. Finally, here are three different Heroclix for the New 52 versions of Firestorm. Again, great job on the Firestorm retrospective! I really enjoyed the podcast! Keep up the nice work!